Air: returning in the autumn. 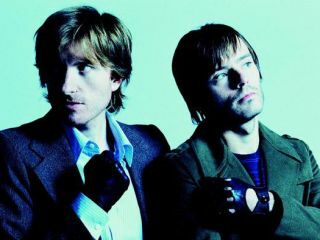 Downtempo electronica duo Air have announced that they'll release a new album, Love 2, on October 6. This will serve as the follow-up to 2007's Pocket Symphony and be preceded by a single, Sing Sang Sung, on 25 August. Prior to this, there'll be the download-only Do The Joy on 7 July. Love 2 is the first Air album to be recorded at Atlas Studio, the band's own facility in Paris.